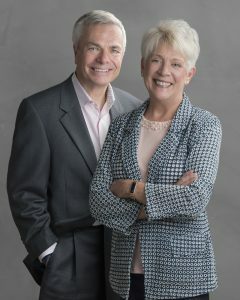 Ingrid and John Sullivan have worked in the real estate industry for more than 20 years. Through their experiences with helping their own parents with moves, they came to realize that there was a great void in the industry and began concentrating their efforts toward helping Boomers and Seniors with downsizing and rightsizing moves. While they are full-service REALTORS® and work with clients of all ages, they have found that working with mature adults is their true calling. Their company, Senior Downsizing Experts, has assembled a team of trusted experts to help guide their clients through every step of this often emotional process. In addition to working with their real estate clients, Ingrid and John are also authors of The Ultimate Guide to Downsizing, a book packed with information, helpful tips, and tools to make the downsizing process less stressful and more successful. In an effort to present quality educational opportunities for older adults and their families, they created The Smart Senior Series. Each panel, moderated by the Sullivans, features trusted experts hand-picked by the Senior Downsizing Experts team.